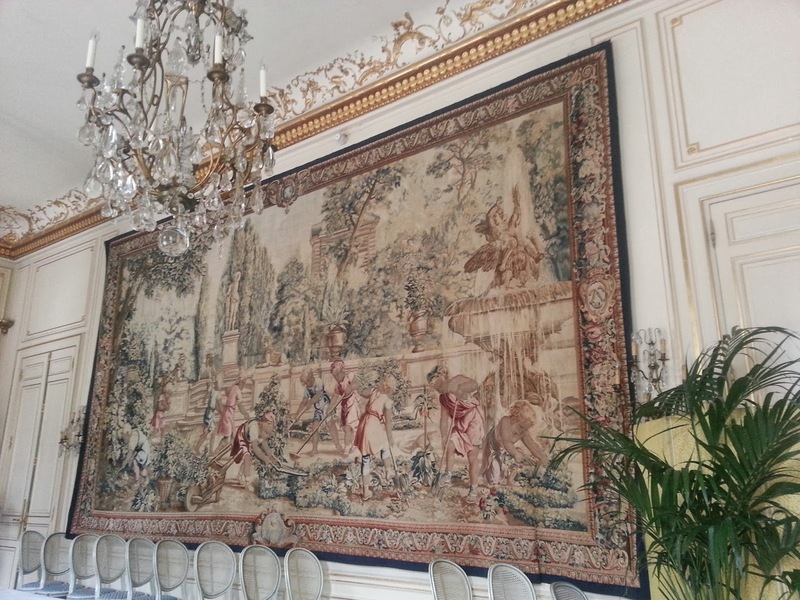 On our second day in Paris (see our first day here) we had loads planned; we originally planned to go to Saint Chapelle and the Palais de Justice, then go for lunch in the Cercle de l'Union interalliée, which is a reciprocal club of London's Royal Automobile Club. After that we were then going to head over to Bastille and see Oscar Wilde's grave, and then have dinner there in a funky little restaurant. Our day took a very different turn. We started off visiting Saint Chapelle, which is a medieval chapel built between 1242-1248. It's beauty really took my breath away. It's a chapel next to the Palais de Justice, which is a part of the original site of Saint Louis's palace, with every part of the wall of the building covered in stain-glass windows. Saint Louis commissioned the chapel to be built to house his Passion Relics, which included the Crown of Thornes. The flooring was fascinating, it's really worn away from hundreds of years of people walking on it, and you can see the holes in the floor from where they put the coloured ink into the floor. The chapel is definitely worth a visit if you're in Paris, and as with most places in Paris, if you're under 25 and have a European passport, it's free entry! After the chapel we went next door to the Palais de Justice, which was...ok. I enjoyed it, but there wasn't much to see there as the areas you're allowed to see are mainly empty. There's a small exhibition, and a video telling you about the Reign of Terror during the French Revolution, which is really interesting, but that's it really. You also get to see some of the prison cells, including Marie Antoinette's, and there's a memorial for Marie Antoinette in the chapel. After the Palais de Justice we walked through a huge bird and small animal market (so, so cruel...it made me really sad), and then to a little square just opposite the Palais de Justice. 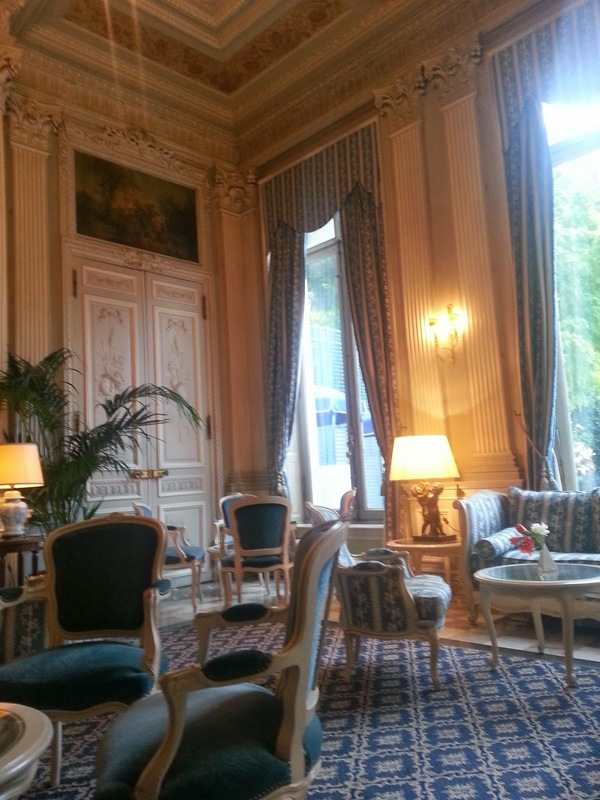 We then realized how hungry we were, so got the metro to Concorde, and then walked to the Cercle de l'Union interalliée, which is a private members club right next to the British Embassy, and a reciprocal club of the RAC and some of the other London clubs. We had a late lunch down in the restaurant overlooking the swimming pool, and then went upstairs to the bar for drinks and dessert. The chocolate cake and raspberry tarts were in-credible! So yummy! The Pimms was probably the strongest I've ever had, the barman didn't even measure the Pimms out, he just poured it straight in! After a rest and lots of food, we decided not to bother going over to Bastille and to just stay in the club all afternoon and evening drinking and eating some more. We did venture out into the gardens, and also to the Champs Elysee for an hour or so. 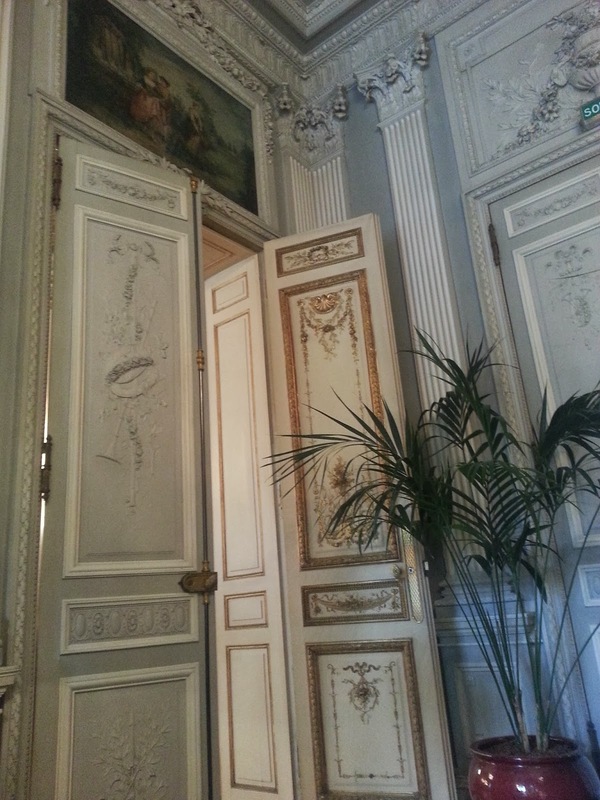 The Cercle de l'Union interalliée is such a beautiful club, it's so ornate and opulent, full of luxurious furnishings. It really puts the London clubs to shame. I loved the old wooden newspaper holders they had in the drawing room! The gardens of the club are stunning, so many gorgeous flowers. A haven in the middle of the city! Excuse the fact none of us are wearing make-up...we were a wee bit hungover from the indulgent meal we had the night before. Ciara was trying to show that our hair colour is the same...it definitely isn't. It was freezing cold that day, my poor hands look so shriveled! However, I got really excited about conkers! This means Autumn is definitely here. After our outing we went back inside for wine and girlie chats. It was so lovely to just have a relaxing weekend and not rush around all over the place, I love short breaks like that. It was just the perfect mix of doing things and seeing sights, and just relaxing with friends. 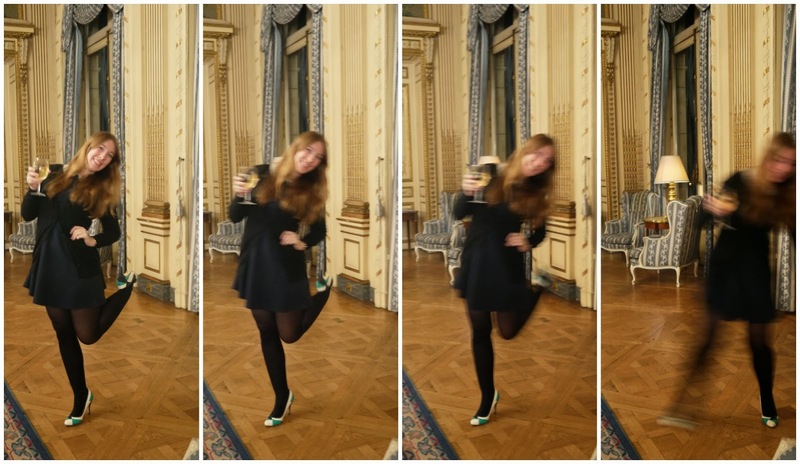 And I still have things on my to-do list for the next time I go to Paris! Such beautiful photos, I really want to go to Paris.